Go Vegan World said it was important for farmers to feel the same outrage at the thought of a sheep being harmed in a slaughterhouse as when attacked by a loose dog. Sandra Higgins said animal welfare campaigns were ‘not in line with our ethos’. Activists behind the UK’s biggest vegan advertising campaign have slapped down suggestions the team should consider supporting animal welfare campaigns on the basis it would not be in line with their ethos. Sandra Higgins, director of Eden Farmed Animal Sanctuary Ireland which heads up Go Vegan World, said the advertisements and information provided on its website was ‘merely evidence based fact’ to back up their message that animals ‘have the right not to be bred, used, harmed or killed by us’. The suggestion came after farmers on Twitter called on the industry to join forces and combat ’anti-farming propaganda’ which spread false messages about agriculture. One image circulating social media showed a calf under local anesthetic before being de horned, with the caption: "This calf is about to be killed with a bolt gun...scared little babies." It followed a study by the Edelman trust barometer which found only 24 per cent of the UK population trusted the likes of Twitter and Facebook when looking for news, with more than 66 per cent worried about fake news being used as a weapon. East Yorkshire farmer Jono Dixon tweeted images of the consequences of dog attacks on sheep last week and had more than 83,000 interactions with the post, but said he was adamant the vegan community would not support industry initiatives aiming to reduce the number of incidents, such as Farmers Guardian’s Take the Lead campaign. “They would probably say it is a threat of strangulation to every animal with a lead on it,” he said. 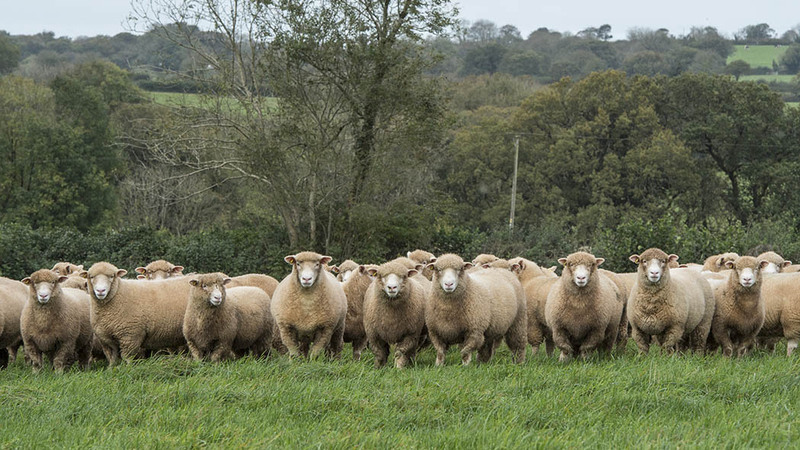 Ms Higgins said: “When a dog attacks, frightens, injures and kills and sheep in the field, this is not an inanimate piece of property belonging to the farmer that is killed. She said the community did not want an ‘us versus them’ feeling but Welsh farmer Gareth Wyn Jones warned the propaganda used on social media by vegans was encouraging it.